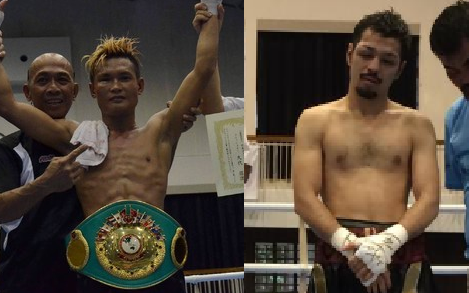 Filipino boxer Edward Heno is set to face the Japanese boxer Seita Ogido on September 10, 2017, for the vacant OPBF L.Flyweight title at the University of Ryukyus in Okinawa Japan. Edward Heno of the Philippines is a 24 years old boxer from Baguio City, Benguet, Philippines. Heno has an undefeated record of 10W(4KO)-0L-5D. The Filipino fighter started his career in 2011 and he is now the Philippines Boxing Federation (PBF) Light Flyweight champion. He defeated Cris Ganoza via KO last March. Heno fought Seita Ogido last May of 2017 for the vacant OPBF Light Flyweight Title but the fight was declared drawn. Seita Ogido, on the other hand, is a 24 years old Japanese fighter with a record of 11W(3KO)-2L-3D. The Japanese fighter fought 3 Filipinos in his last 3 fights, he defeated Jeffrey Galero via UD and the last two fights against Jonathan Refugio and Edward Heno was a Draw.